The Senate should vote to open the government and fund the border wall. In fact, senators should vote on it every single day. The Senate can amend anything the House sends over and then call for a vote. If it were up to me, I would encourage Senate Majority Leader Mitch McConnell to amend the spending bill that was sent over by House Speaker Nancy Pelosi to include border wall funding, and then vote on it every single day. Without Democratic votes, the measure will fail to get the required 60 votes to proceed – and it will fail over and over again. Keep voting. 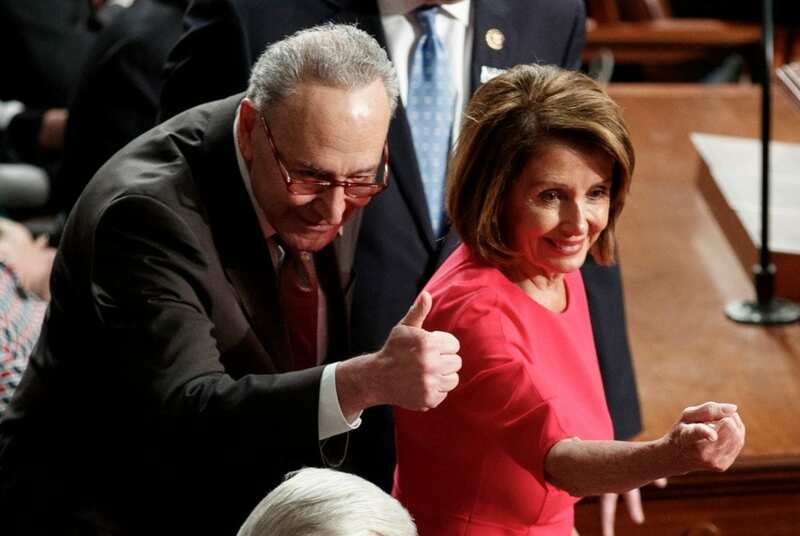 Lawmakers will be forced to go on the record – day after day – demonstrating conclusively who really supports border security and who is just giving lip service to the idea. Many Democrats have stood before cameras since the shutdown began to tell us that they support border security – just not a physical barrier. Without evidence – and in fact, contrary to it – they claim walls don’t work. They blame Republicans for the shutdown, even as Speaker Pelosi spent Christmas in Hawaii and Democrats hobnobbed with lobbyists on the beaches of Puerto Rico. Meanwhile, President Donald Trump was at the White House looking for a compromise that would fund the government and address the border crisis. This week President Trump invited Democratic leaders to the White House once again to negotiate an end to the budget impasse. Democrats simply did not show up. There seems to be no imperative for Democrats to act in the interests of the nation or its federal employees. They see a political opportunity. With the help of their allies in the media, they think they’ve got this shutdown pinned on President Trump. Consequently, they have a political incentive to maximize pain for everyone. That’s a disgusting overreach. They are playing with people’s lives in a cavalier manner that is destructive to our people and our institutions. That they can use national security as leverage to score political points informs us what they really care about. It’s time to force Democrats to vote “nay.” The Senate made a mistake in the 115th Congress by not voting on the package sent by the House Republicans. That package did fund more than $5 billion for the border wall. The Senate should have voted on it. Whether or not the bill had passed, we could have seen who is willing to do the right thing and who is there to score political points. So why not amend the current House bill to include border wall funding and let the Senate take the vote now? Let’s see where the people who are not running for president in 2020 really are on this issue.